How can libraries best introduce new digital literature to the public? The objective of “Turn on Literature” is to find solutions to this question. The partners will approach the field of digital literature through the work with literary installations, exhibitions and workshops in Romania, Denmark and Norway. The partnership will seize the opportunities that digital literature offers for audience development and will reposition the library to suit users’ needs in an increasingly digitised world. Target groups will be young adults and traditional book readers at the libraries. Digital literature is an emerging field where authors combine language with the affordances of digital devices (such as computers, tablets, sensors, RFID chips, smart phones etc) to create contemporary literature. The three partners will work closely with authors in order to create innovative presentations of interactive works of literature and circulate the European works to the involved libraries. Exhibitions and capacity building events will secure that literature born in new media in the future will have a place to meet an audience. Key Component 1: Production of interactive literature installations involving users in the creation of digital literature at the library. As part of our audience development plan the installations will be designed to be used in co-creation workshops with young adults. Key Component 2: Digital literature exhibitions. Making new European literature publicly accessible and giving traditional readers a new perspective on digitization. Key Component 3: Best Practice Kit – including material from capacity building workshops, exhibition videos, website and printed material – will work as a tool of dissemination of experiences and results and will be targeted towards cultural professionals. The participating libraries and their collaborating partners will through the work with these key components increase their capacities and know-how in the field of digital culture. The solid partnership formed in the project will be the foundation for the continued work to bring digital literature to an even larger audience. The partnership will pave the way for the cultural sector to reach to new generations of readers and new ways of staying relevant. 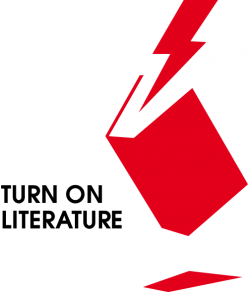 Turn on Literature brings European literature into the future – hand in hand with the readers. Next Next post: What is digital literature?